Bunnybots is an offseason competition for FIRST Robotics Competition teams hosted by Team 1540, The Flaming Chickens. 2017's game was dubbed "Hide and Seek". 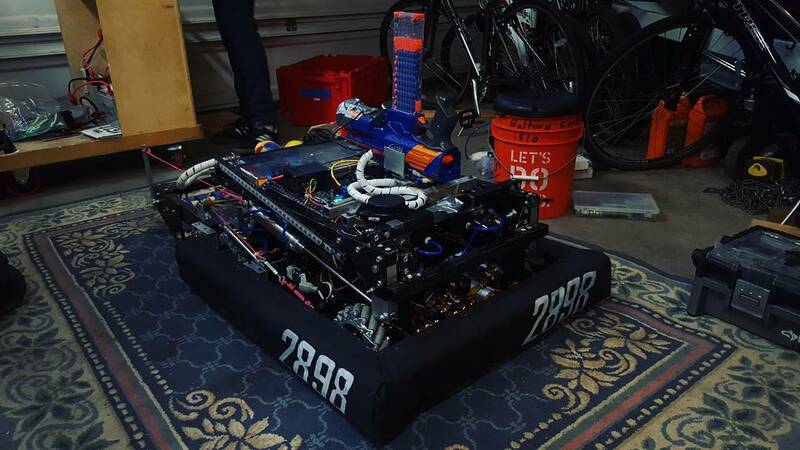 Hide and Seek was played by two alliances of three robots each on a FRC-sized field. During setup, each alliance places 10 stuffed bunnies into 20 buckets on their half of the field by hand. They can be as secretive as they like about which of the buckets on their half of the field have bunnies placed in them. After a 15 second autonomous period, the 2:15 teleop period begins. During teleop, robots seek to get as many bunnies as possible in contact with the carpet their half of the field.